Product prices and availability are accurate as of 2019-04-23 09:42:42 EDT and are subject to change. Any price and availability information displayed on http://www.amazon.com/ at the time of purchase will apply to the purchase of this product. 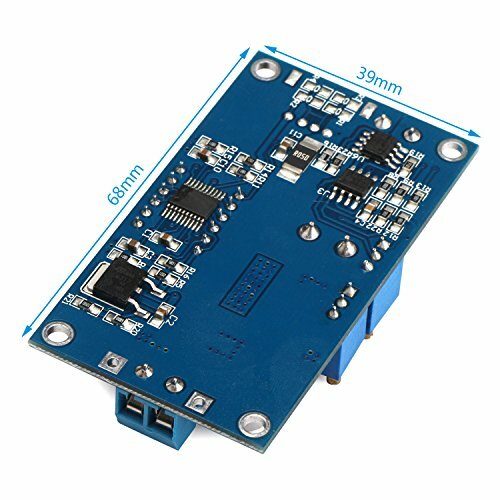 -Output voltage :1.25-32V continuously adjustable, default output 17V. 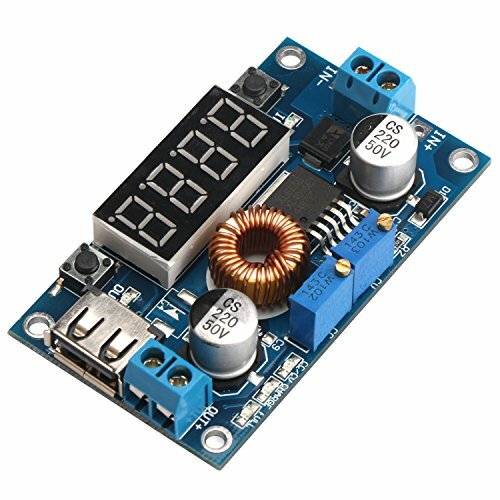 ?If the module cannot be adjusted, the output voltage is always equal to the input voltage." 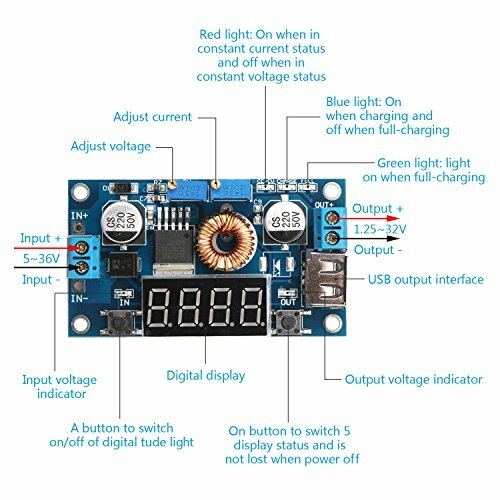 When you encounter this problem, please counterclockwise rotation of the potentiometer 10 laps or more, then you can adjust the output voltage. Because the factory default output voltage is 17V. ?Module output terminal string has a current sampling resistor, there will be 0-0.2V voltage drop after connected to the load, it is a normal phenomenon. ?If its output is more than 3A/35W, please enhance heat dissipation! if your load is USB device, please make sure the module's output voltage is set at 5V.